Banana, Orange, Apple or Grape? 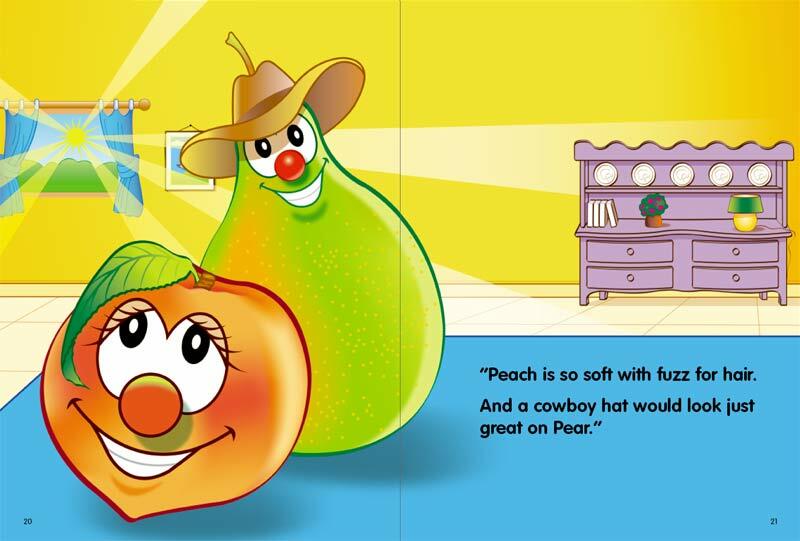 It's Great to be Different; New Childrens Book Gives Kids Confidence To Love The Skin They're In. While authors Alix Redmonde and George Fischer had body images in mind when they wrote the book, the message carries over to a variety of other challenges that kids face. -It was going to be that kind of day - Pear was upset because it couldn't find a pair of pants that fit; Peach only had fuzz, no hair; and Grape, well no one really heard what Grape was unhappy about, and that was the problem. But the wise Bowl in It's Great to Be Different points out how great it is that each fruit is unique. Kids come in all different shapes and sizes and they start becoming aware of their differences at a young age. Giving children the tools to gain confidence and self-esteem can be a building block to a happier, healthier child. While authors Alix Redmonde and George Fischer had body images in mind when they wrote the book, the message carries over to a variety of other challenges that kids face. It's Great to Be Different, ages 4-8, is now available online at http://www.itsgreattobedifferent.com for $9.99, plus S&H. A portion of sales will be donated to children's charities. Alix was a grape, small and round; an only child, born in California and raised throughout Europe and Japan. As an adult, she realizes that her differences are what made her unique.